Bad news for cheese lovers this morning. If you, like many Americans, enjoy a fine Kraft cheese with your apple pie/cereal/hot pocket, it’s going to be a bad week. Kraft is recalling thousands of cases of their American singles because of a dangerous mistake. According to Refinery29, the cheese isn’t poisonous or expired—it’s just covered in plastic. But all singles are covered in plastic, you might be thinking. You’re right! 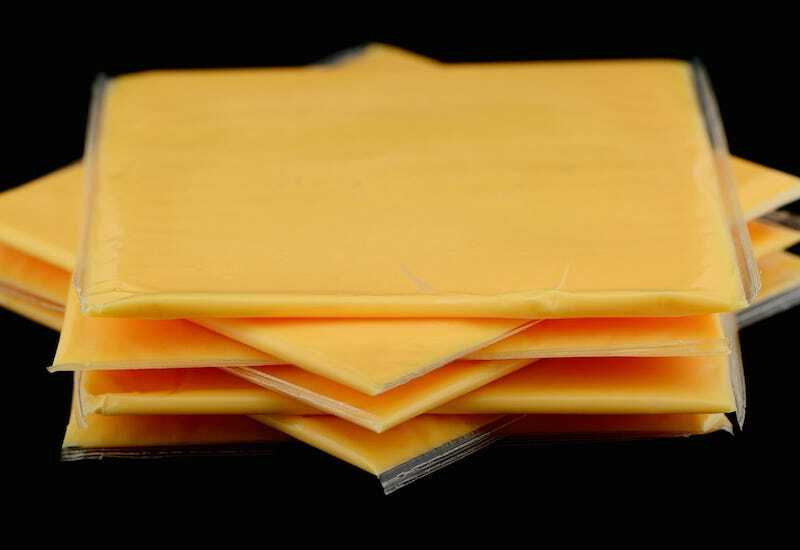 That’s what makes Kraft singles so awesome! The peeling process! This plastic however, was not intended or expected. Kraft explained in a statement, “a thin strip of the individual packaging film may remain adhered to the slice after the wrapper has been removed.” Nearly a dozen customers red-flagged the wrapping issue, and three complained of choking. You can see the specifics of the recall here. Personally, I check each individual slice of cheese before hungrily shoving it down my goddamn throat (Kraft cheese is very smooth and usually slides down easily), but there are other people who have less patience for this kind of thing. Those people might actually suffer severe injuries if they continue eating the cheese and not checking for plastic. Of course, Kraft’s not coming to your house to take their cheese back (because this isn’t Russia) (although in Russia they’d probably blame you for choking), but if you purchased a one week supply of cheese (the three or four pound package of American singles) that’s set to expire “between December 29, 2015 and January 4, 2016 and a manufacturing code of S54 or S55,” then you’re going to want to return it for a full refund. Unless you feel like you can take care of the plastic issue yourself.